The Facebook Gift Shop is closing on Aug. 1 as we focus instead on improving other products. 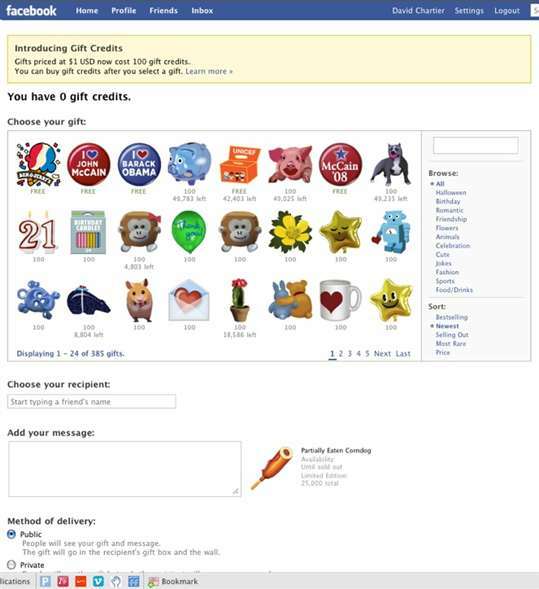 As of that date, you will no longer be able to give new gifts from the Gift Shop. If you are wondering what the “other products” are, he mentioned such things as Photos, News Feed, Inbox, games, comments, the “Like” button and the Wall. I suppose these areas could use some work. I would have liked to see “Chat” included in that list since we all know how buggy Facebook Chat can be. In terms of purchasing currency on Facebook, it seems that we are going to be seeing more of Facebook credits now. These credits are going to be used to purchase everything that can be purchased on Facebook. 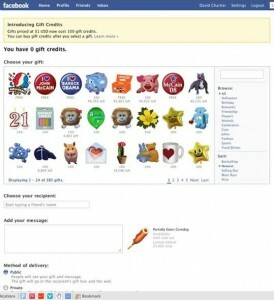 This includes premium items in Facebook games. And, just so you know, Facebook is earning 30% of all sales made for Facebook Credits. Yup, there had to be some business ideas buried behind the decision somewhere. How do you feel about the closing of the Gift Shop?